As part of our Science Week on Tuesday 13th March the whole school dressed up as ‘Mad Scientists’ The children thoroughly enjoyed a day full of experiments from launching rockets, mixing various chemicals, making slime, exploding coke bottles, cleaning coins and exploring how to write using invisible ink! It was incredibly rewarding to see so many children engaged, full of curiosity and asking scientific questions. I would like to extend a huge thank you to all parents who helped support their child in creating such amazing outfits! 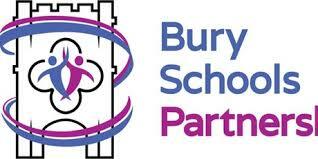 On Wednesday 14th our Year 4 class joined children from other primary schools within the Bury School Partnership, for a morning of interactive activities based on the science curriculum at King Edward Upper School. Please look at the website for all the photos of our budding scientists! Thank you for your support in helping to make our Science week such a super success!